One of the many joys of the Donmar Warehouse’s all-female Shakespeare trilogy is not just that it gives some great actors a chance to tackle some rich roles –that’s a given – but that it explodes the whole idea of who can play Shakespeare and how. It’s not just about casting women, it’s about size and shape and colour. It is about power and strength. It is about total, unapologetic ownership of the stage. Four years in the making, the trilogy began in 2012 with Julius Caesar, was followed in 2014 by Henry IV, and now concludes with The Tempest. There are opportunities to see all three plays in a day – a fascinating and rewarding experience. While not a trilogy in a linear sense, the productions are full of echoes and recurring motifs and watching all three together gives you a real sense of the thinking behind them. The Donmar productions are not gender-blind (a silly term that needs to go in the bin), they’re intelligently alert to the performance of gender. Phyllida Lloyd has set all three plays in a women’s prison and has done so with intelligence and thought. The power play and relationships make sense in this context and the baggy grey prison uniforms take the focus away from the physical. While I’ll admit I thought The Tempest was by far the least persuasive of the three, it has not diminished my love for the project as a whole. Even though the remounted productions are missing Ashley Maguire and Cynthia Erivo, this is still a formidable ensemble. Harriet Walter is a commanding presence in each of her roles: she is brilliantly kingly as Henry IV and plays a Prospero undone by her love for daughter. Claire Dunne is a charismatic Hal. Newcomer Leah Harvey is a magical, gravity-defying Miranda. Jade Anouka is thrillingly fierce, particularly as Hotspur. (The scene where she does chin-ups while effortlessly speaking verse remains one of my favourite ever theatre things). In each of the productions, created in partnership with Clean Break – the brilliant theatre company that makes work about women’s experience of the prison system – song, dance, and performance feel like liberating, transformative activities. We are a storytelling species and theatre can, and does, set people free. For me the plays raised bigger questions about casting. It’s not enough just to put women and people of colour on stage. So often even ostensibly diverse casting conforms to type. 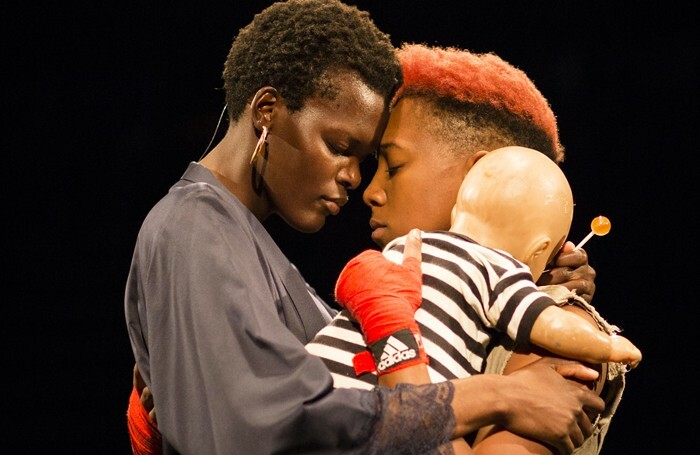 There was an incredibly tender moment in Henry IV when Anouka slow-danced with Sheila Atim, as Hotspur’s wife, which was made all the more potent for its rarity. When was the last time you saw an Ophelia who outsized Hamlet in any way? Or a woman of over six foot in a lead romantic role (the extraordinary-looking Elizabeth Debicki excepted)? Or a Beatrice noticeably older than her Benedick? The main pleasure (apart from the Young and Free ticketing scheme for the under-25s, which shows a real commitment to making this work accessible) of the Donmar productions is in the way in which the stage is populated, the way these women fill it up.